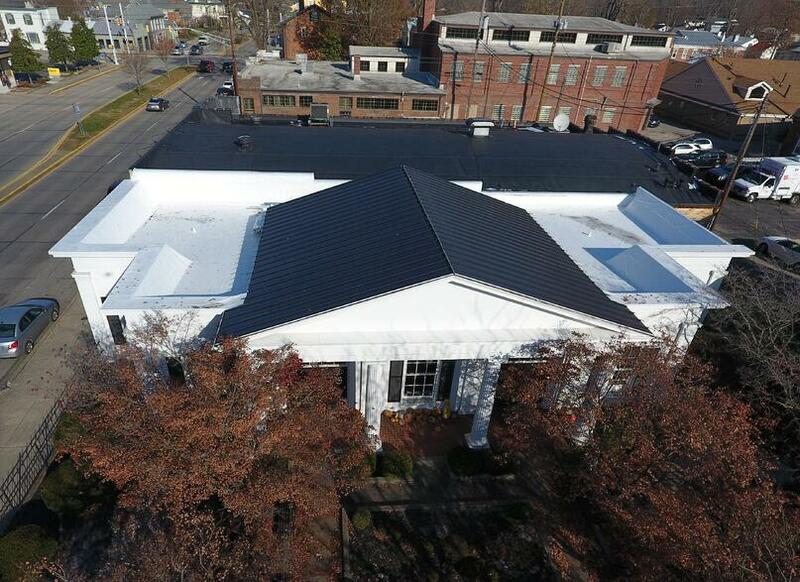 Madison's Chamber of Commerce Gets Upgraded! 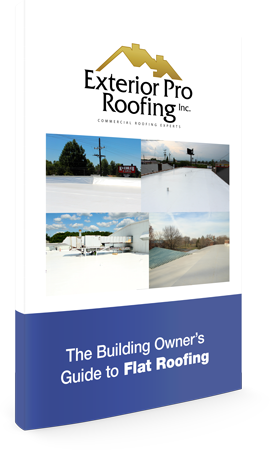 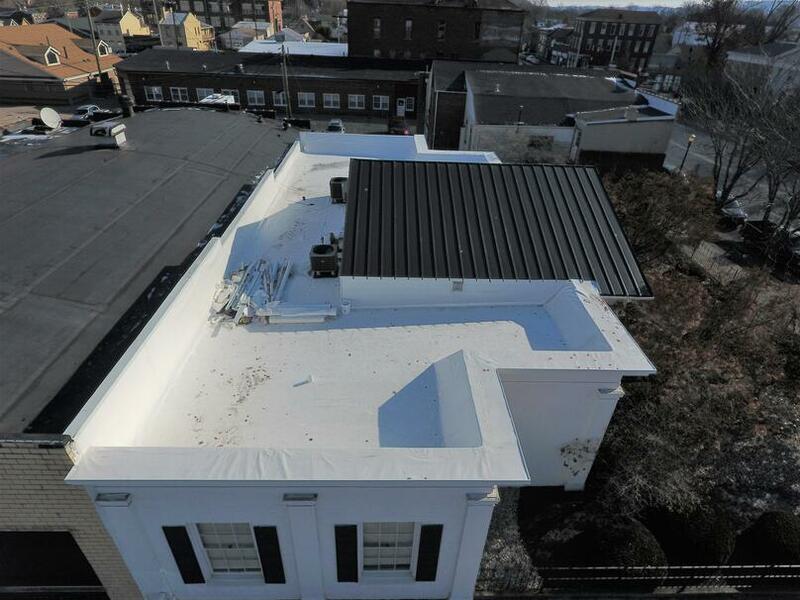 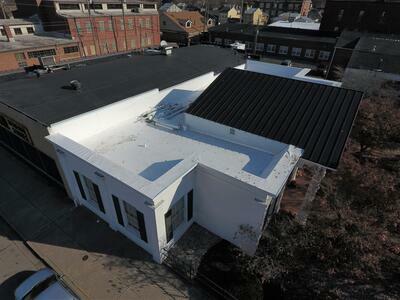 Description of Work: The Chamber of Commerce, located in downtown Madison, IN, was ready for a new roof. 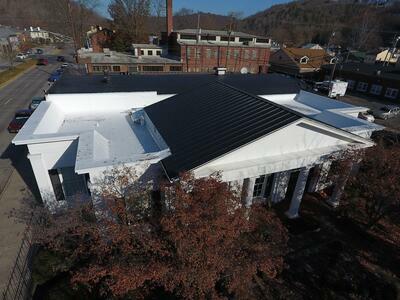 Not only did they want to replace and repair their flat roof section, but they also wanted all new standing seam roof panels! 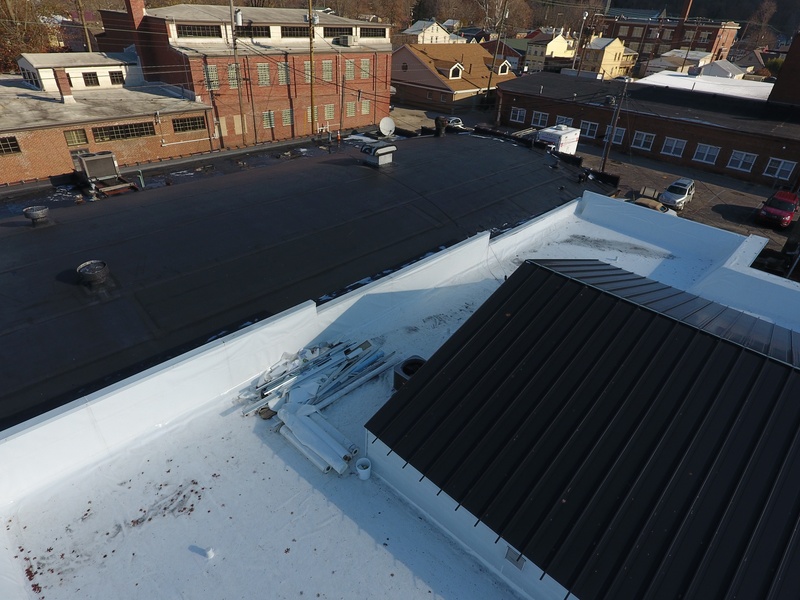 The dark shine of the panels as well as the vibrant, clean look of their new flat roof membrane gave the building the look it deserved!